After traveling all over the world — Mexico, Canada, Europe, India, Costa Rica, and all over the United States — one of my favorite trips is a road trip across our home state of Oregon. We stared in Hillsboro and headed east with the intention of making numerous stops as we explored rural Oregon. 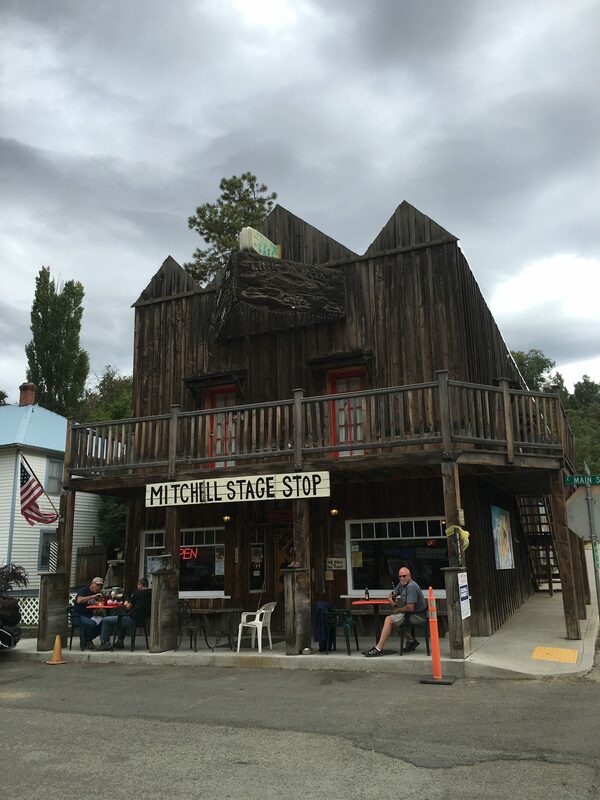 After driving for several hours, our fist stop was in Mitchell, OR, out in the middle of nowhere. It’s practically a ghost town, but it does have a small cafe and motel. We had a quick burger and a beer. But because of city (?) regulations, you aren’t allowed to drink beer in the cafe and have to sit outside on the sidewalk to drink it. Go figure. Next we headed out across the high desert to our destination for the evening, John Day. It’s beautiful, pristine country with not many signs of civilization except the occasional farmhouse or barn. 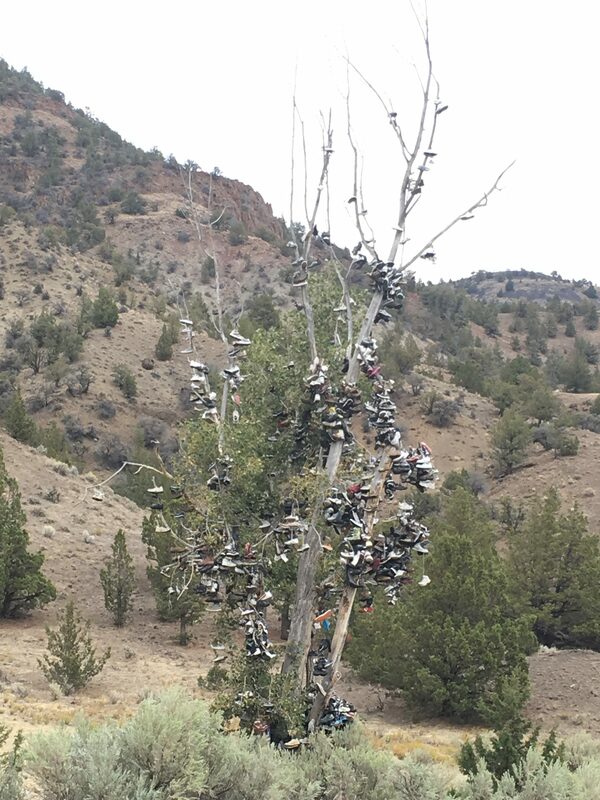 And a random tree full of shoes!